Donegal Yarns has introduced a new yarn this year called Glanta. It is a beautiful blend of Cashmere, Silk & Wool. The yarn lent itself to many shapes resulting in a beautiful new collection which we have aptly called The Glanta Collection. The yarn comes in gorgeous colours allowing us to make a beautiful colour pallet for the collection. Glanta is made up of Cable Sweater, Cable Cape, Harlequin Sweater with accessories such as the Boxey Eternity, Harlequin Eternity & the Harlequin Floral Collar. 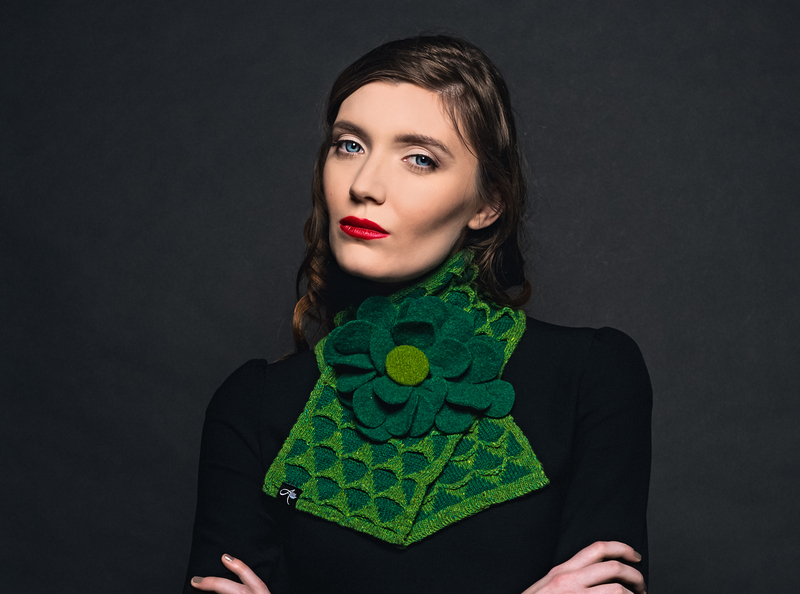 We are delighted with how the collection came together and are delighted to announce that it is available at the following shops – Kilkenny Design Centre, in all GlenAran shops in Kenmare, Kinsale and Glengarrif and in Irish Craft in Doolin.